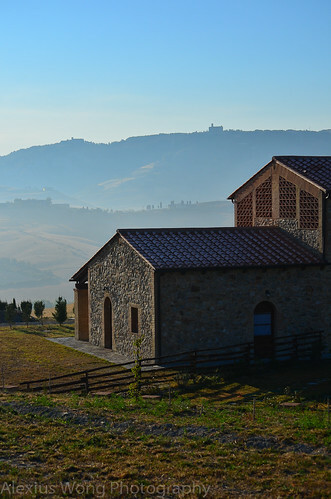 Recently I received an e-mail from my cousin, who resides in London, teasing me with her account of a trip to Sienna, Italy, filled with a touch of giddiness since she was visiting during the middle of the coveted truffle season. This correspondence brought back memories of two summers ago when my family and I spent time with her in her expansive villa in the middle of the Tuscan countryside overlooked by the walled Etruscan city of Volterra. On this trip, I learned three things: that time moved slower and less-rushed which made all of us take our experiences in at a leisurely pace, that life still goes on without having to stay in touch with all the world’s goings-on’s (this is attributed to the absence of cellphones, internet, and media), and there was sheer beauty everywhere, whether in the arts, the weathered buildings, the breath-taking vistas, or in the delicious food, which captivated me with its taste, freshness, simplicity, and creativity. The cuisine that I savored across waters opened my eyes to a new-found appreciation for Italian food, beyond the usual Italian-American fare that has become rather average and uninspiring to my palate. Upon returning back to this side of the world, I was determined to find good restaurants that could replicate that same level of quality that I grew fond of, and I have written on a few Italian restaurants on my blog. Here is an addition to that list. Pasta Plus lies in the middle of a dead mini strip mall in the heart of traffic-busy Laurel, MD, a suburb off a major highway connecting Washington DC and Baltimore. Located in the middle island dividing the north and south bound lanes of busy Route 1, it is hard to imagine that there is any commercial life there besides an Arby’s and a muffler shop. 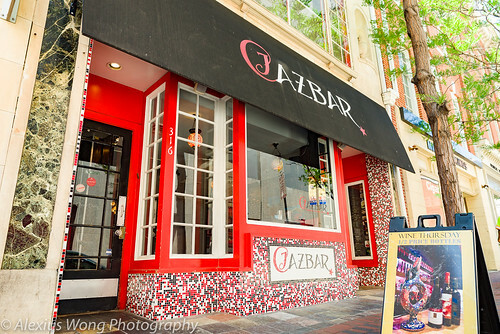 Walking past its plain-looking glass door, you immediately encounter quite a vibrant life within its four walls, a rather bustling dinner crowd and a brick oven within your line of sight that is exuding the smell of baked yeasty dough and tempting you with crusty pizzas topped with colorful ingredients. Crates of wines hanging above in the walls and the woven rope seats in the dining area immediately transport you to a good Trattoria that is inviting, and it builds up a sense of anticipation for something worth tasting. 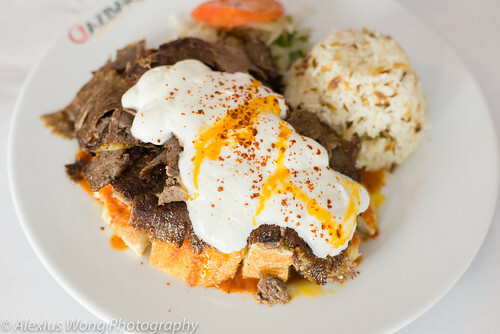 For this review, I made a several trips to get a good sampling of their offerings. In addition to a standard menu, Pasta Plus offers daily and seasonal specials that change according to what is available. For the starter, I ordered the seasonal specials of Sautéed Mushrooms and on another visit, Fresh Mozzarella and Marinated Artichokes. 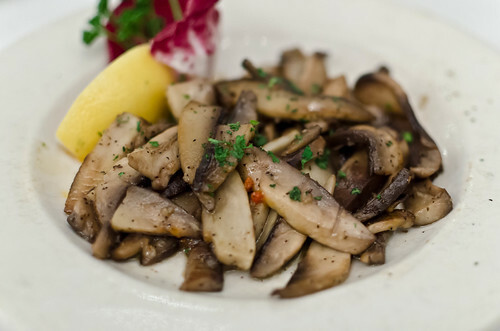 Thick slivers of Portabello mushroom have been cooked with lots of garlic, which makes it the natural seasoning partner to this fungi. Pungent pieces of toasted garlic enhanced the woodsiness of the mushroom which made them very tasty. The thick pieces had a rather firm texture and robust flavor that made the dish satisfying, especially paired with pieces of the house-baked sourdough bread. The second appetizer arrived in a beautiful arrangement, all replicating the colors of the Italian flag. Wedges of mozzarella tasted very mild and smooth with its slight creamy freshness teasing the tongue. The artichoke halves were marinated in tangy red wine vinegar (judging by its red tint) and they equally exuded freshness while lacking any tin-flavor found in pre-packaged versions. I marvelled at how the tangy vegetable enhanced the mild cheese, and they made good complementary partners in this dish. Good starters indeed. 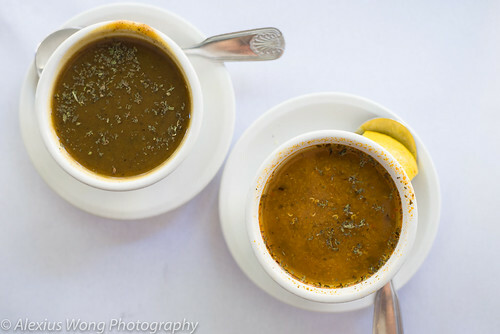 On one occasion, a dining companion decided to order the seasonal special of Zuppa di Zucca, or Butternut Soup. When I saw it on the menu, it was not a dish that was exactly screaming for my attention since I’ve tried many versions of this recipe. When his bowl arrived at the table, I was curious by the yellow-tinged soup. With the first spoonful, my friend was marvelling how good the sips were, and I knew I had to partake in his bowl. 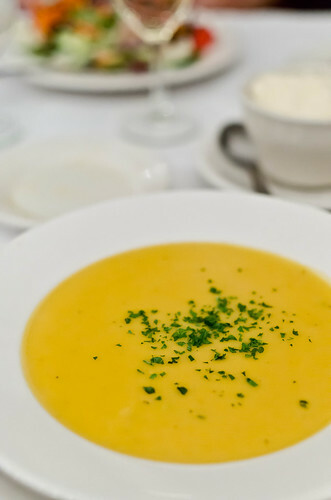 After a taste, I was amazed by the flavors and the first thing came to mind was “butternut chowder”. 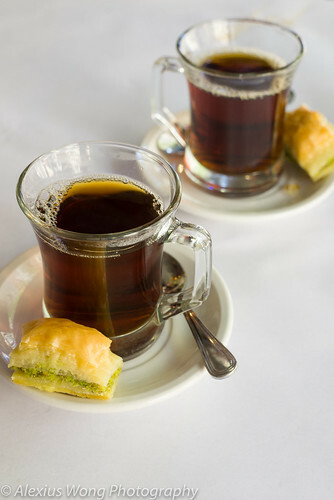 The hot liquid had the distinctive squash flavor without overwhelming the tongue with its natural sweetness. 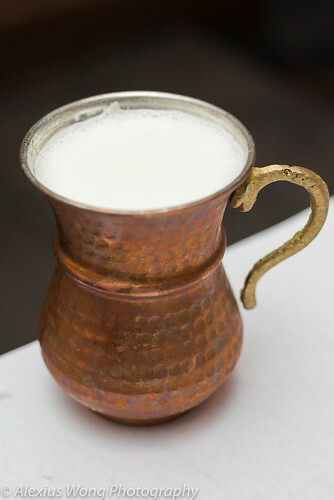 But what makes the soup delectable is a level of savoriness brought by the use of a good stock that is aromatic and has body, and the use of a touch of cream that brought some smoothness and unctuousness to the humble ingredient. I couldn’t stop at just a few spoonfuls, and I must have drunk at least a third of that bowl. Every entrée at this eatery comes with a complementary salad that is proper and made with a variety of enticing lettuce leafs and slices of vegetables. To break the mould, I decided to order two types of salads. The first is Arugula, Radicchio, Mushroom and Parmigiano Salad. 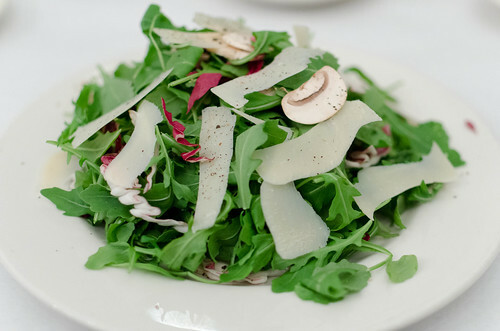 A plate of crispy arugula leaves arrived with slivers of mushroom and Parmigiano ribbons strewn on top. The bitterness of the arugula, a flavor that I enjoy in vegetables like many Italians do, was balanced by the mild button mushrooms and the creamy saltiness of the fresh Parmigiano that tempered the other flavors. As its dressing, the Creamy Italian had the right amount of acidity and sweetness to tie the disparate elements together in a forkful. 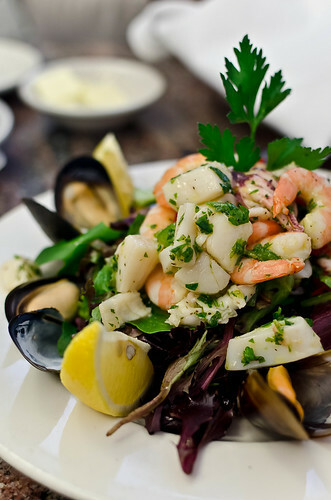 Another salad on the menu is a favorite appetizer of mine as well as my friends – Seafood Salad. Pieces of whole shrimp, calamari rings, and scallops sit on a mound of red and green oak leaves, surrounded by a ring of mussels in shell. 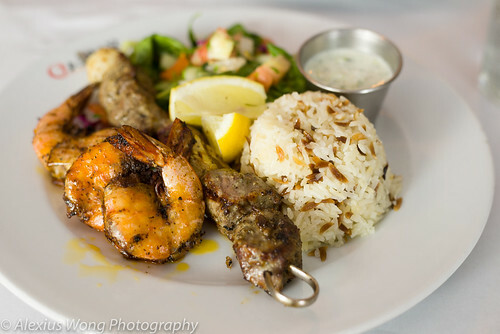 What is truly amazing is the kitchen’s skilfulness in cooking the seafood perfectly – the sweet shrimp not rubbery, the calamari fork tender, the scallops moist and flaky, and the mussels still plump and juicy. What brings these elements together is a marinate of lemon juice and extra virgin olive oil that adds some fresh fruitiness to the salad along with a good hit of fresh Italian parsley. This dish brings back wonderful memories of all the wonderful seafood dishes during my Italian trip, and it definitely ranks up there with those dishes. 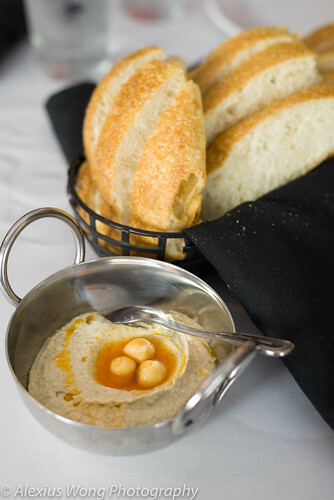 For an appetizer, it is packed with fresh seafood and it is worth the order – Buonissimo! 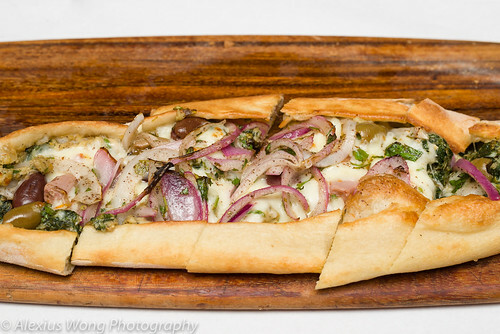 No reputable Italian restaurant will have its breads and pizza missing from its menu, and the restaurant’s strength can be found in the Pizzas and Paninis that they make. A friend’s Vegetarian Pizza arrived with the dough cooked just right with some singed marks from having spent only a short time in the searing wood-burning brick oven. The thin crust had lots of flavor from the yeast fermentation, a tinge of salt, and a faint aroma of the wood, while the tomato sauce tasted fresh and not paste-like commonly found in other versions. 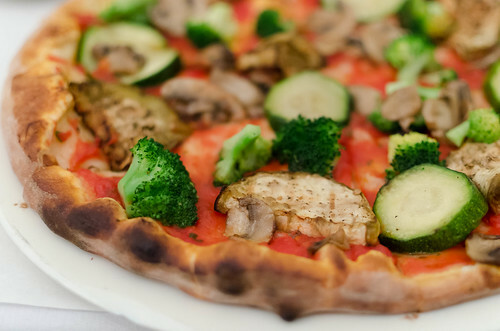 The slices of eggplant, zucchini, mushroom and pieces of broccoli still had their textural integrity but without the raw flavors due to the high heat cooking. In true Italian fashion, cheese was absent from the pizza, which I found to be the case in all the pizzas on the Continent, to which a bowl of shaved Parmigiano was left for the diner’s discretion. 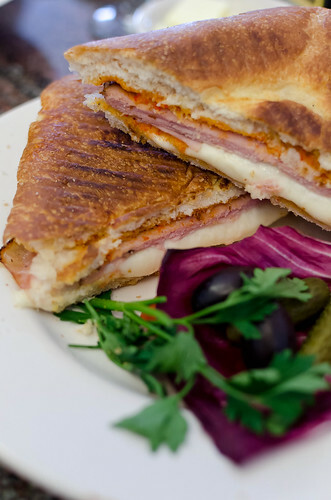 On another occasion for lunch, I ordered Grilled Panini with Prosciutinni and Mozzarella. Pieces of house-made Foccacia bread sandwiched thin slices of fresh Prosciutinni and fresh Mozzarella, moistened by a red-pepper coulis spread. The spongy bread was yeasty and faintly herbal from some rosemary and oregano, the spread naturally sweet, encompassing the mildly salty Italian ham and the mild-tasting fresh cheese. The grilling under a weighted press compressed the elements together while heating the sandwich up and giving it an outer crispness. 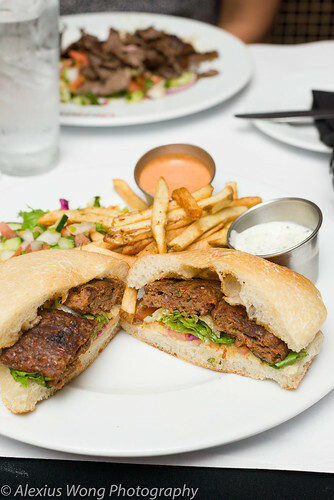 Amazingly, the compressed sandwich still felt light to the bite, and the flavors were rather mild with all the elements holding their distinctive characteristics. The true litmus test for an Italian restaurant is its Risotto and Pasta dishes. 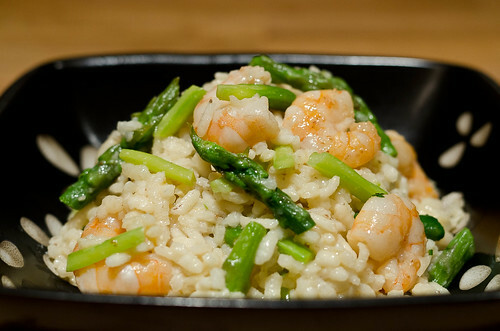 For the seasonal special, I honed on Shrimp and Asparagus Risotto. This dish was a true delight with the medium-grain rice cooked slightly creamy while holding its integrity and tasting very savory from the use of a good seafood stock and some Parmigiano cheese. The pieces of shrimp were moist and tender, devoid of any rubberiness, and the pieces of asparagus cooked well without being mushy. All the elements were in perfect harmony, and this dish is a true Italian classic combination of ingredients which sang beautifully in my mouth. 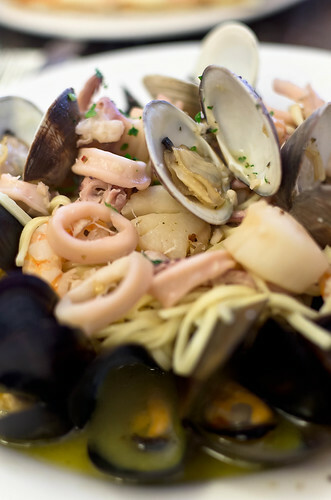 For lunch, a friend ordered Linguine Frutti di Mare. A nest of dried egg pasta cooked al dente (Continental al dente, which is a bit too firm for most Americans) sat under a heaping mound of calamari rings, scallops, clams, and shrimp, surrounded by opened mussels. The sauce was full-bodied and savory made from garlic, white wine, seafood stock, spiked by a pinch of dried red pepper flakes, and finished with a drizzle of fresh olive oil. Again, we see the kitchen’s skilful treatment of every ingredient especially the seafood elements that were perfectly cooked and tender. The good quality dried pasta and its al dente cooking are what I really appreciated as it added the necessary satisfactory body to the dish. 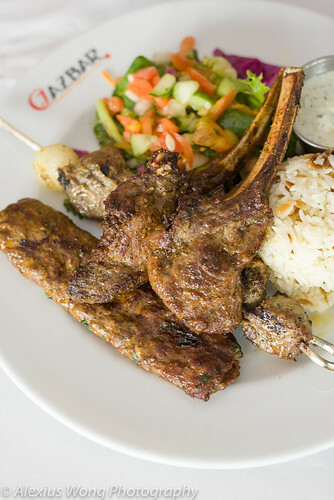 This dish is quite pricey for dinner but worth a splurge; the lunch order is a better deal though. As with all the other meat and seafood entrees, a side dish of fresh egg pasta is served with the light tomato sauce, which again points to the restaurant’s high standards. 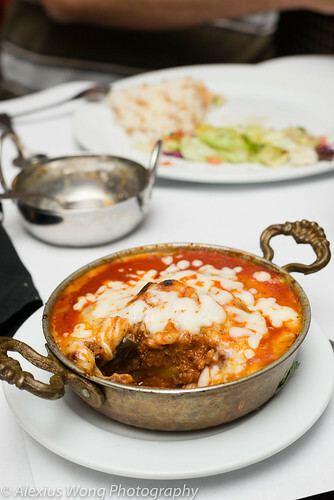 After a few visits to Pasta Plus, my friends and I have become fond of a specific dish served in this eatery: Lasagna. Now, you may cringe and wince at the thought of a stodgy and heavy layered pie that most of us have grown up eating in this country. But this version is quite the opposite of what we are accustomed to. 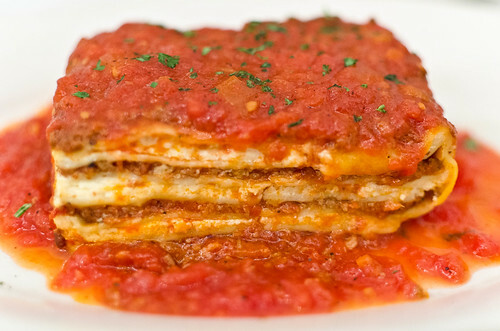 Layers of light fresh egg pasta are interspersed by a thin coating of ricotta along with layers of minced beef Bolognese sauce, topped with a coating of fresh tomato sauce. What makes this slice different is the lack of mozzarella and Parmigiano cheese that would weigh the dish down. Furthermore, the use of fresh pasta brings a delicate and light touch to the dish, and you can literally cut it like an airy layered cake; no knife is needed here, just the fork and a hungry mouth. 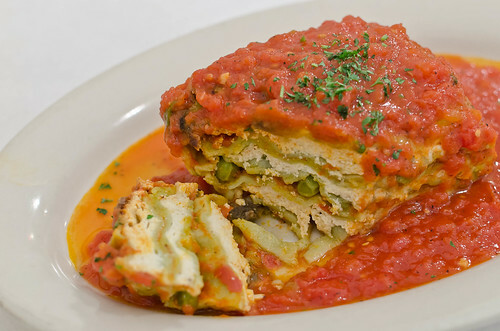 On another visit, I decided to order its vegetarian counterpart – Lasagne Verde or Spinach Lasagna. Sheets of egg spinach pasta alternate in between thin layers of ricotta, with bits of fresh peas studded in between that provided some textural interest. The ricotta had a slight sponginess due to some egg mixed into it, thus there was some structural integrity that was devoid of mushiness. The pasta sheets were slightly green from the use of spinach leaves but it was a bit too thin and soft in certain parts. The fresh tomato sauce was just as good as the meat version, and it added the acidic tanginess to cut through the rich cheese – this is a worthy meatless dish indeed. 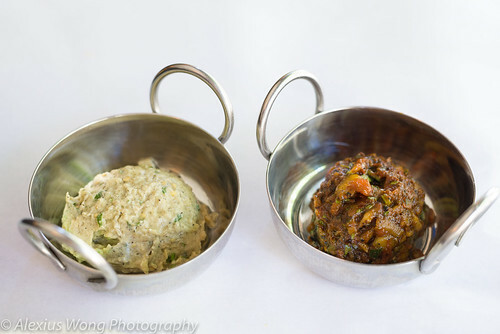 In addition to this offering, there is a handful of other vegetarian dishes worth ordering. No decent Italian meal is complete without a sampling of the Dolci, or desserts. 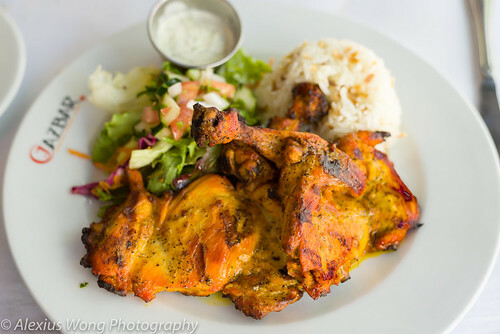 During most visits, I was rather stuffed from the wonderfully delectable dishes, but on the rare occasion, I ordered a taste of their sweet offerings. For a special, I was curious when Torta Zabaglione was listed on the menu. 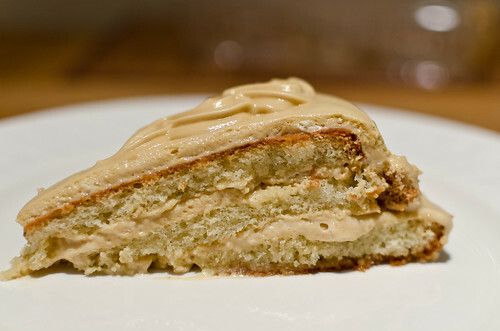 The cake arrived with layers of sponge cake that has been layered with some Zabaglione sauce made from egg yolks and Marsala wine. The slice was fragrant and quite light, enriched by the rich yet light sauce carrying some sweet oakey notes from the spiced wine. This was an awesome combination, and my friends and I wished we had ordered another slice – a truly inspiring cake, albeit made for the adult. Another occasion called for Tartufo Gelato as the sweet ending. 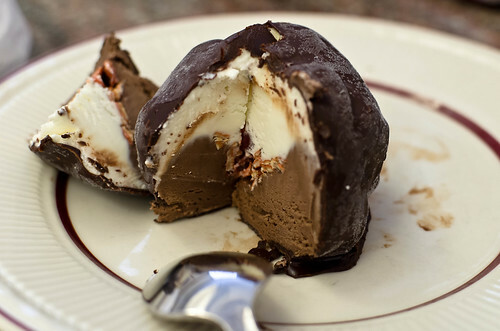 A dark chocolate and vanilla ice-cream ball is studded with a maraschino cherry and shards of slivered almonds, encased by a thin layer of dark chocolate. I enjoyed the good quality ice-cream especially its chocolate intensity, complemented by the crunchy fragrant almond pieces and the sweet cherry center. The thick outer coating echoed the ice-cream’s chocolatiness with its slight bitter tannine like qualities that cut through the rich creaminess, which I appreciated since I’m a chocoholic. What amazed me was the delicate and not over-powering sweetness, which reminded me of the gelatos and desserts in Italy that we inhaled daily. For my friend who was celebrating his birthday, this ice-cream “truffle” was truly a happy ending for him even in the middle of winter! Pasta Plus is truly a hidden treasure offering an amazing variety of authentic Italian dishes that you may not find in most Italian restaurants, serving up dishes that are refined and tasty due to a skilful and well-seasoned kitchen. 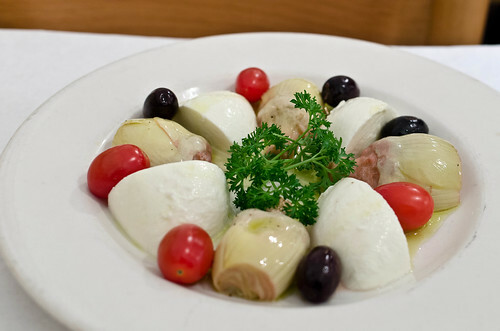 What I most appreciate about this establishment is its honoring of what good authentic Italian cooking is about: fresh and top-quality ingredients, creative and seasonal dishes, and a true understanding of its culinary tradition to produce time-tested top quality authentic dishes. 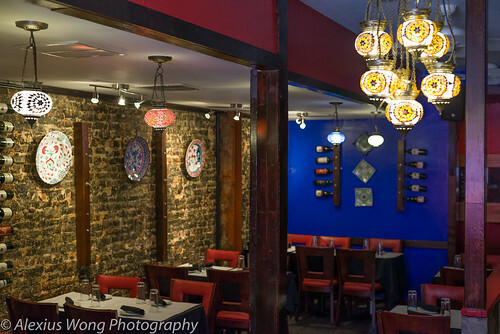 The service is congenial and efficient, the rope-woven seats a bit passé and not always comfortable, and the space a bit cramped when the place is packed full. In addition, the restaurant does not take any reservations. But it is worthwhile putting up with a few inconveniences because a meal here will erase the wait for a table, and it will make you dream of the gastronomic delights for the next few days, course by course, and in my case, also bring back wonderful memories of sun-filled Tuscany. Now, that’s worth dreaming about, day and night.